NAGA CITY 12/28/17 (BICOL STANDARD) – The 3rd Division of the Supreme Court has issued a status quo ante order in favor of Mayor Tomas Bongalonta Jr., who was suspended by the Sandiganbayan for 90 days. The said suspension order which was duly received by Bongalonta will expire on January 1, 2018. 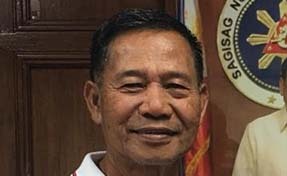 It will be recalled that the local chief executive of Pili was slapped with a 90-day suspension order when he dismissed from service Eileen D. Ceron, the municipal accountant of the said town. Bongalonta's order of suspension was signed by Justice Amparo Cabotaje-Tang and served to him by the Department of Interior and Local Government (DILG). As a remedy, the town mayor has filed with the Supreme Court a petition for certiorari and injunction with application for preliminary mandatory injunction. He assailed the Resolution dated September 5, 2017 of the Sandiganbayan, in Criminal Case No. SB-11-CRM-0203. In its order the Supreme Court said that without necessarily giving due course to his petition, it resolved to require respondents DILG and Justice Amparo Cabotaje-Tang, as Presiding Justice of the Sandiganbayan to Comment on the Bongalonta’s petition (not to file a motion to dismiss) within a non-extendible period of ten (10) days from notice. The same order was signed by Wilfredo V. Lapitan, Division Clerk of Court, by the authority of the Hon. Presbitero J. Velasco, Jr., Chairperson of the 3rd Division of the Supreme Court of the Philippines, given last December 6. The order only affects the Suspension order that was issued by the Sandiganbayan. The administrative suspension that was imposed against Bongalonta for another 6 months signed by Gov. Miguel Luis Villafuerte, however, is not affected by this notice issued by the 3rd Division of the Supreme Court.